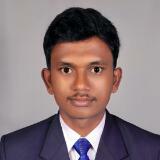 I am bhuvaneshwaran from Pollachi. This year Completed My bachelor degree in mechanical engineering..I Want to job for in quality or production..Aluminis are help to me..
Nachimuthu Polytechnic Alumni Association (NAPAA) was formed in December 1998. Its objective is to maintain purposeful and live contact between old students and their institute.